Sometimes people faces some issues with their WhatsApp account. And people started thinking that their WhatsApp account is hacked and someone else is accessing and intercepting over their Whatsapp chats, Videos and all other things. 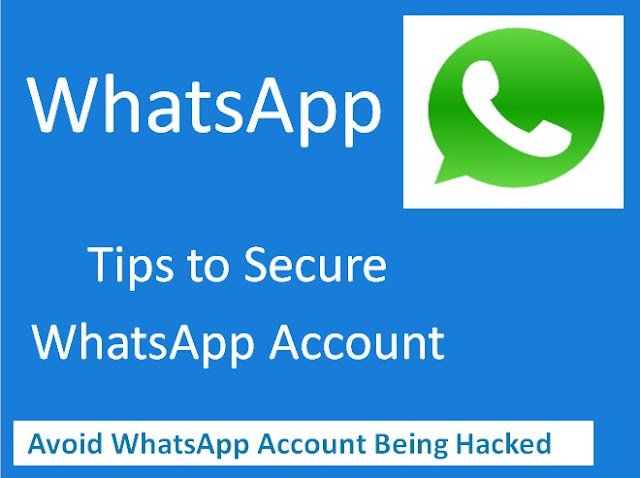 Here in this post we are going to tell you all the things about WhatsApp Account issue, WhatsApp Security and all the things you should know to secure your WhatsApp account. First of all, you should aware of some facts about WhatsApp. WhatsApp uses a very strong security encryption method to protect the user accounts. WhatsApp uses end-to-end encryption technique which is not easy to hack or crack even by a professional hacker. And if your Whatsapp account is still in danger then here we will help you with some simple tricks to strengthen your WhatsApp security and overcome from the problem you are facing with your WhatsApp account. WhatsApp is a free instant messaging service which uses end-to-end encrypted transmission of text messages, images, audio, video and other multimedia. And the End-to-end encrypted transmission means whatever communication happens between you and the other user, cannot be read by anyone else or even Whatsapp. This is because the transmission is secured by a special key which will be only available to the recipient you are sending the message. It's like; you made a lock and the key for that lock is only given to a particular person. But sometimes people made some mistakes with their WhatsApp account, and as a result, someone else might get access to personal messages and other information on WhatsApp. How WhatsApp can be Hacked? Sometimes you give access to your phone to someone. And that person might reveal your QR code / Barcode generated by WhatsApp application. After that, the person might get access to your account secretly. If you are the victim of such kind of things then this step by step guide will help you to safely remove the unauthorized user from accessing your account. You can remove any unauthenticate user from accessing your WhatsApp aacount by following these simple steps. At first, open your WhatsApp application on your phone. Then tap on the menu icon (Icon with three dots). After that select WhatsApp Web. Now your phone camera get activated and WhatsApp will ask you to "Visit web.whatsapp.com on your computer and scan the QR code" you will get after opening WhatsApp on your computer. Now just point your phone to the computer screen to capture the QR code. And you are done. You can see all your contacts and messages are displaying on your computer screen. Now you just need to click on logout button. After you clicked on the logout tab all the devices that have access to your WhatsApp account will also get log out. Note:The QR Code/Barcode is dynamic in nature. So anyone who has access to your barcode before to login to your account will get signed out from the session. And he/she has no longer access to your account. Some safety tips that you should follow to avoid any suspicious activity on your WhatsApp account. Try to avoid giving access to your phone or device to an unknown person or even friends. It is a best practice to secure your phone or device using a strong password. Try to avoid using pattern locks which is less secure than passwords. Never share any Passcode, OTP or Barcode with anyone, that sent on your phone or device.